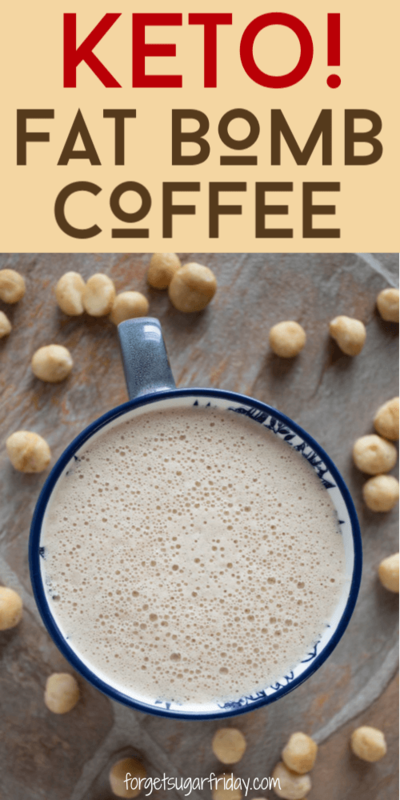 Macadamia Nut Fat Bomb Coffee is rich and creamy keto coffee perfection! 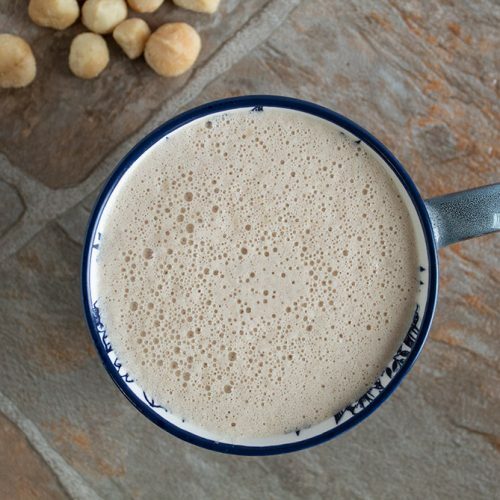 No nut milk required for this coffee — just a blender, macadamia nuts, and a few other easy ingredients. It’s a dreamy fat bomb coffee and contains only 2g net carbs per cup! 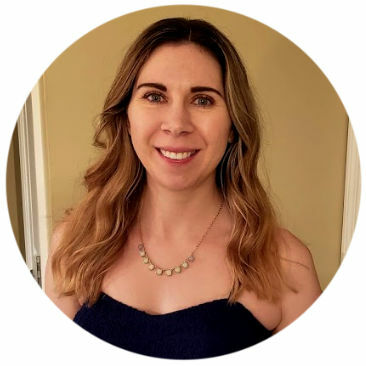 This post contains affiliate links, which means I’ll make a small commission if you purchase through one of my links (at no extra cost to you). Thank you for your support! Have you ever seen a more beautiful cup of coffee? 😍 That gorgeous froth sitting on top of a dreamy, creamy coffee creation… total perfection, right? 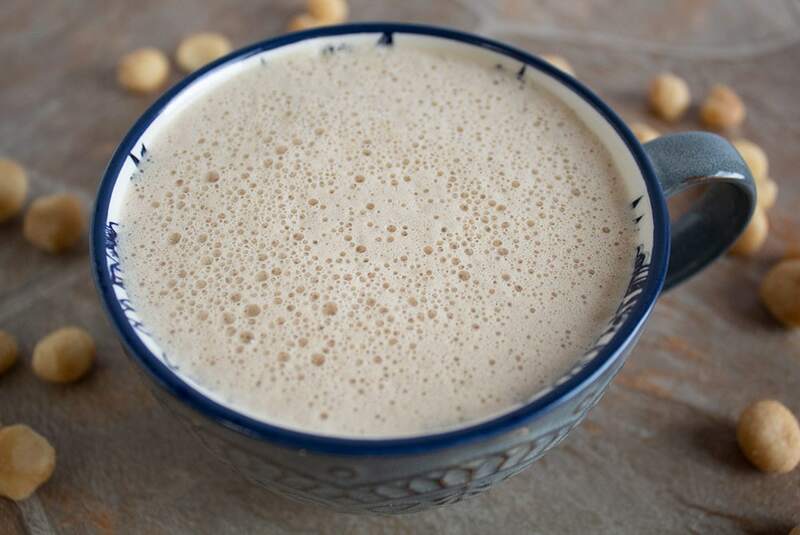 Instead of using macadamia nut milk that will expire quickly once you open it, this yummy Macadamia Nut Fat Bomb Coffee uses blended whole macadamia nuts, which means you’ll be able to enjoy it morning after morning without having to replenish your macadamia nut milk stash (which is also quite pricey!). Later in the post, I’ll tell you exactly why macadamia nuts are such a great choice on the keto diet. For now, let’s make some fat bomb coffee! 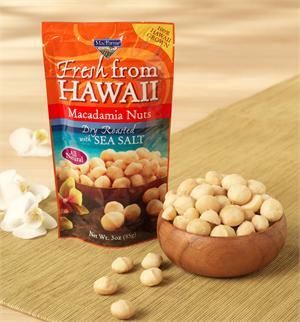 I love these crunchy, sea salt-y macadamias! MCT oil is a staple of the keto diet and will provide you with valuable fats and instant energy. You can put it in coffee or smoothies, on salads or veggies, or you can consume it straight. Use coupon code FORGETSUGARFRIDAY for 15% off your order! Of all the brands of stevia I’ve tried, this is my favorite. It’s organic, doesn’t contain any fillers, and very little adds a lot of sweetness. Add all ingredients to a high-powered blender (see below if you don’t have a high-powered blender). Blend/liquify on medium for 60 seconds, then on high for 30 seconds. After blending, pour your coffee into a cup and try it. If it’s perfect (the most likely outcome), enjoy!! If it’s too thick, add it back to the blender with just enough water to thin it out to your liking. If it has little pieces of macadamia nuts in it, add it back to the blender and blend longer until the consistency is smooth. 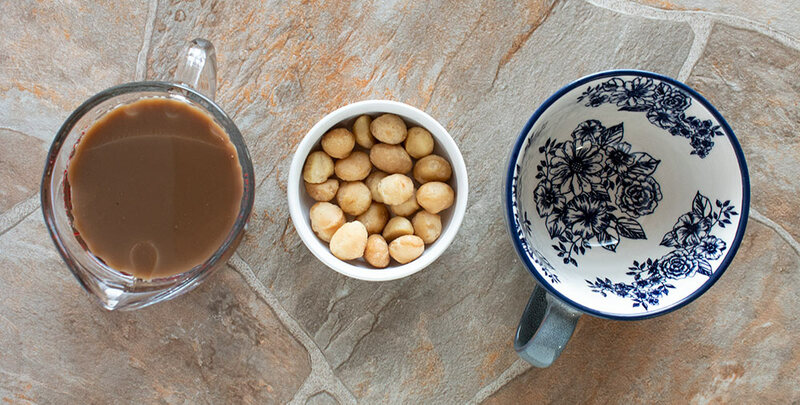 Soak the macadamia nuts in water for 30-60 minutes before making the coffee. When you drain the soaking water, you’ll drain off the salt, so you may need to add a pinch of salt to match the flavor of unsoaked macadamia nut coffee. No matter what you do, the end result should be a coffee that is a bit on the thick side, but you should not have a coffee with bits of macadamia nuts in it! That’s no fun to drink. How Big of a Fat Bomb Coffee is This Recipe? This coffee is a FAT BOMB COFFEE (capital letters definitely required). One cup contains 55 grams of fat! If you would like to make it a bit less of a fat bomb coffee, the easiest thing to remove without sacrificing the flavor is the MCT oil. 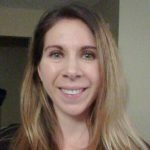 Why Eat Macadamia Nuts on the Keto Diet? They contain only 1g net carbs per 1/4 cup. Each 1/4-cup serving contains 117mg potassium. It’s important to keep your electrolyte levels up on the keto diet, so some potassium via macadamia nuts is a great help. They have a fantastic Omega 3:6 ratio. Keeping your Omega 3 consumption high can help keep inflammation levels down (which is why fish oil is so beneficial). Unlike other nuts, macadamia nuts have only 1.3g Omega 6 per 100g. As a comparison, almonds have 12.1g Omega 6 per 100g! Above all else… they taste SO GOOD! 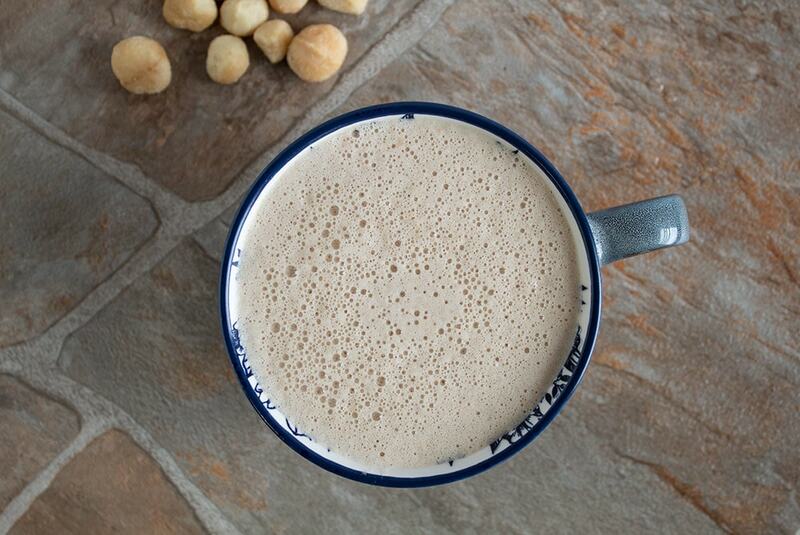 Let’s all celebrate macadamia nuts by having a big ‘ol cup of this Macadamia Nut Fat Bomb Coffee! 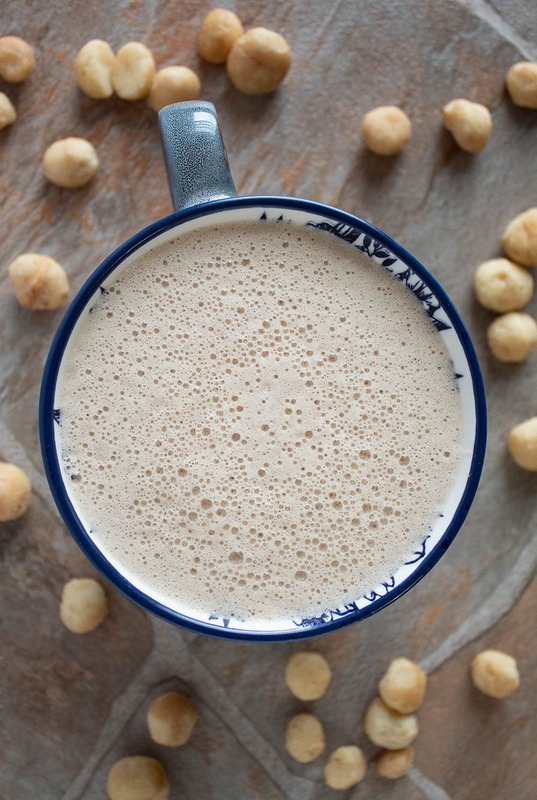 I hope you love this Macadamia Nut Fat Bomb Coffee recipe! If you liked this post, I would so appreciate you giving it a share by using the social sharing icons. THANK YOU! This keto friendly fat bomb coffee is creamy, dreamy, and full of healthy fats! Add all ingredients to a high-powered blender. Blend on medium for 60 seconds, then on high for 30 seconds. After blending, pour your coffee into a cup and try it. If it's too thick, add it back to the blender with just enough water to thin it out to your liking. If it has little pieces of macadamia nuts in it, add it back to the blender and blend longer until the consistency is smooth. Soak the macadamia nuts in water for 30-60 minutes before making the coffee. When you drain the soaking water, you'll drain off the salt, so you may need to add a pinch of salt to match the flavor of unsoaked macadamia nut coffee. I’ve been making this only with perfect keto nut butter… its wonderful! Yum! That’s a great idea!